Uber is asking a B.C. court to throw out a lawsuit filed by four Vancouver-based taxi companies that are attempting to block the ride-sharing service from launching in the city. The companies' lawsuit alleged Uber was planning to launch in violation of local bylaws and provincial taxi regulations, which they argued would put passengers at risk. 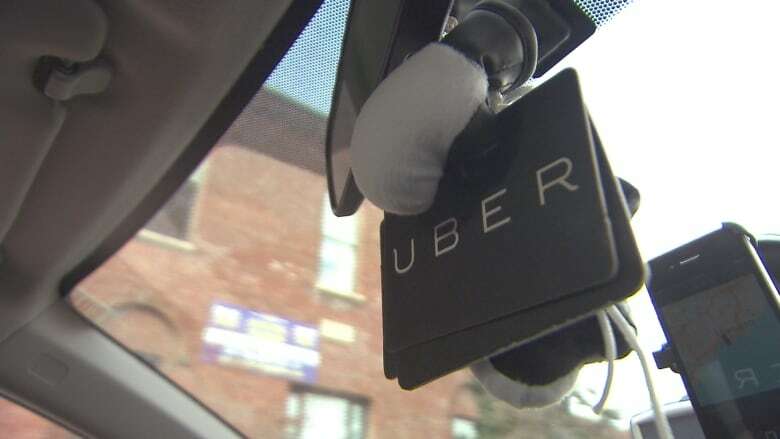 But Uber says in court documents that the lawsuit is based on speculation, since Uber has yet to actually launch, and it says the taxi companies have no authority to enforce municipal or provincial regulations. The company has not confirmed when, or even if, it plans to operate in the city, though it has been actively recruiting drivers and office staff. "For over 50 years, they (the taxi companies) have operated as a cartel seeking to stifle any form of competition or innovation inthe commercial transportation industry," says Uber's application, which was filed in B.C. Supreme Court on Tuesday. The Vancouver Taxi Association said it looks forward to dealing with Uber in court. "Calling us a cartel ... that is just wrong, they're just wrong, absolutely wrong, and I don't even know what else to say," said Carolyn Bauer with the Vancouver Taxi Association. "I don't want to bad mouth anyone. The media has put out enough press out there to make people aware and make proper choices." "I've always said Vancouver taxi industry is not against competition as long as it's on a fair, equal playing field ... go through the proper channels, get the proper insurance pay the proper licencing fees," she said. Uber has run into opposition in many jurisdictions, including in Toronto, where city officials filed a lawsuit late last year in an attempt to force Uber out of its city. confused into thinking Uber X cars comply with taxi regulations. Uber, however, suggests its alleged reputation for flouting the rules would ensure no one is confused.